We travel to the Emirates to play an Arsenal team going through a transitional period and have also lost their 2 opening games. Hopefully with Wilshere and Perez having points to prove, we can come away with at least a point. 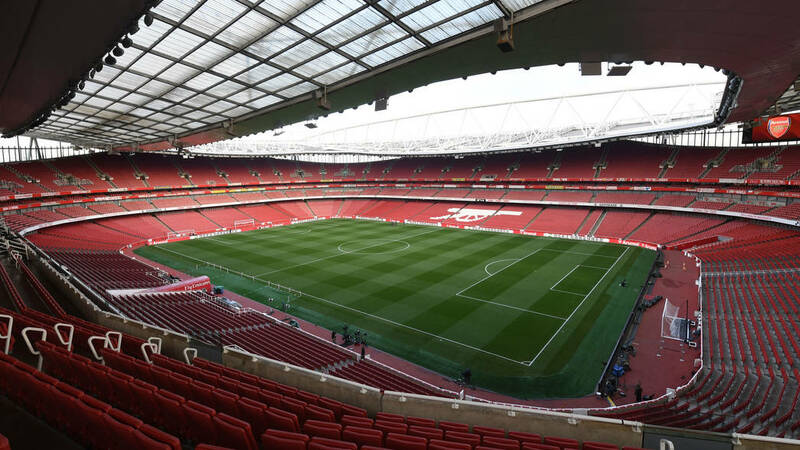 Around the outside of the stadium are many references to the Gunners’ history, mainly the bronze statues of Herbert Chapman, Tony Adams, Dennis Bergkamp and Thierry Henry. The seats are padded and have a lot of space, however they are placed in the lower tier which is quite shallow therefore can make it difficult to see if you’re not the tallest. It’s also worth seeing what’s left of Highbury, with the stadium being included in the designs of the flats that replaced the stadium. The nearest tube station is Arsenal or Holloway Road, both on the Piccadilly Line. Arsenal is a very tight station, which can be good for an atmosphere. To exit Holloway Road you have to go up a spiral staircase and it’s also closed after matches to prevent overcrowding. You can also get a train to Finsbury Park from King’s Cross, but it’s about a 10-15 minute walk to the stadium opposed to less than 5 minutes from the tube stations. There is little parking and it’s HIGHLY recommended that you don’t drive there as London can be busy as it is. The best bet is to park at a station, such as Cockfosters, and get the tube from there. The designated away pub is Drayton Park which is near Arsenal station. The pub looks over the Emirates and isn’t a very long walk from the stadium itself, however it can get very busy. Outside the entrances there are several kiosks, some of which sell alcohol. Inside the stadium, Fosters, John Smith’s and Strongbow are available for £4.90 a pint. Food inside the stadium is quite variable but expensive. Pies, hot dogs and pizzas are among the food available.